The 3 signature dishes of Marco Polo Davao. FOOD lovers are always on the lookout of restaurants’ signature dishes. When dining, people usually ask for best sellers and signature dishes, especially if it’s their first time to eat in a particular diner. But why do restaurants create their own signature dishes? This is simply because a dish can tell a story or stories about them as a restaurant. Last Friday, March 1, the Marco Polo Davao introduces signature dishes for its three restaurants namely Café Marco, Polo Bolo Bistro, and Lotus Court. And all the newly-introduced dishes are surely a must-try when visiting Davao City especially this 82nd Araw ng Davao month-long celebration. Café Marco - the hotel’s all-day Western, Filipino, and Asian buffet dining - launched its Gambas al Ajillo as its new signature dish which will be served its buffet spread. Gambas al Ajillo, a popular Spanish prawn dish, is served with baby prawn, Italian chorizo, olive oil, garlic, chili, paprika powder, and dried chili finger. 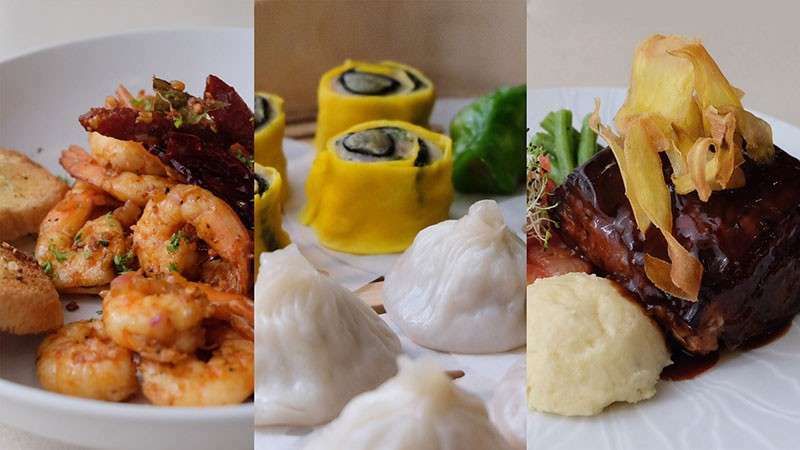 Lotus Court, the most celebrated, Tatler-listed Cantonese Restaurant in the city, will take you to another level of oriental gastronomic experience as it introduces its signature item the Dimsum Trio - Spinach Dumpling, Xiao Long Bao and Century Egg Siomai. Family and friends can share this signature item for P500 only. Marco Polo Davao’s outdoor restaurant Polo Bistro introduces Baby Back Ribs as its signature item. This mouthwatering dish is served with truffle mushed, pomelo salad, buttered French beans and sweet potato chips, and can be shared for P610 only. Executive Chef Alex Destriza underscored that the unveiling of its signature dishes for their three restaurants will cement the hotel’s bid to be a destination for culinary adventure.